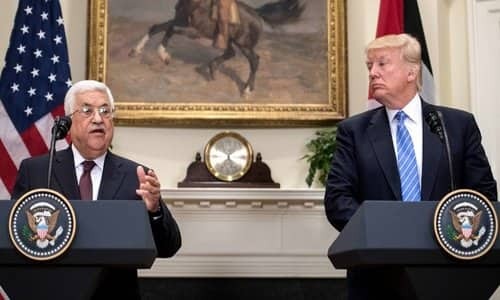 The U.S. government has cited a number of perfectly valid reasons for shutting down the Washington office of the Palestinian Liberation Organization, including the PLO's refusal to negotiate with Israel and its anti-Israel efforts at the International Criminal Court. But the simplest and most obvious reason is this: The PLO is still a terrorist organization, and terrorists have no place in our nation's capital. The shutdown of the PLO office happens to have been ordered just days before the 25th anniversary of the Oslo accords on Sept. 13. The entire premise of those accords was that Yasser Arafat and the PLO had sincerely forsaken terrorism and were committed to living in peace with Israel. It was on the basis of that premise that Israel withdrew from all of Gaza, as well as the portions of Judea-Samaria where 98 percent of the Palestinian Arabs reside. It was on the basis of that premise that Israel released thousands of imprisoned terrorists and permitted the Palestinian Authority to create a de facto army known as the Palestinian security forces. And it was on the basis of that premise that the United States began giving the P.A. $500 million each year. If Arafat was genuinely committed to peace, why didn't he just shut down the PLO? Why did the PLO need to continue to exist, now that there was a Palestinian Authority with its own territory to govern? Nobody asked that question. Nobody demanded the disbanding of the PLO. Big mistake. Arafat kept the PLO in operation because he had not given up terrorism. He was simply biding his time. And in the autumn of 2000, that time came. The mass violence known as the Second Intifada erupted, led by a "new" group called the Al-Aqsa Martyrs Brigade. How could a terrorist group spring to life overnight, fully formed, with an entire network of highly trained bombers and shooters already in place? It couldn't. It didn't. The Al-Aqsa Martyrs Brigade was quickly revealed to be just Fatah under a new name. Fatah was, and still is, the largest faction of the 10-member PLO. Fatah was headed by Arafat. After he died, Mahmoud Abbas succeeded him as head of Fatah and head of the PLO (and, of course, head of the P.A.). The Brigade's most notorious attacks include the January 2002 assault on a bat mitzvah celebration in Hadera, where they murdered six and wounded 33; the March 2002 suicide-bombing in front of Jerusalem's Yeshivat Beit Yisrael, in which they murdered 11 people (including two infants) and wounded more than 50; and the suicide-bombing at the Tel Aviv Central bus station in January 2003, killing 23 and injuring more than 100. As if that wasn't proof enough that Arafat and the PLO had not given up terrorism, along came the S.S. Karine. In January 2002, Arafat was caught trying to smuggle in 50 tons of weapons onto the Palestinian freighter in the Red Sea. Fifty tons! The evidence of Arafat's continuing involvement in terrorism was now overwhelming. Yet the Bush administration made a political decision to pretend otherwise. President George W. Bush condemned the Karine smuggling episode, but did not end U.S.-PLO relations. And in March 2002, the State Department added the Al-Aqsa Martyrs Brigade to the official U.S. list of designated terrorist groups, yet refused to acknowledge that it was a front group for Fatah. In November 2003, a team of investigative journalists from the BBC revealed that Fatah allocates $50,000 monthly to the Brigade. A June 2005 study by the U.S. government's own Congressional Research Service reported: "On December 18, 2003, Fatah asked the leaders of the Al-Aqsa Martyrs Brigades to join the Fatah Council, recognizing it officially as part of the Fatah organization." Fatah is not the only member organization of the PLO that has continued to engage in terrorism. The second-largest PLO faction, the Popular Front for the Liberation of Palestine (PFLP), has continued to carry out attacks, including, most notoriously, the 2014 massacre of four worshippers in a synagogue and a Druze police officer in Jerusalem's Har Nof neighborhood. The PFLP is still listed by the United States as a terrorist organization. Arafat never expelled the PFLP from the PLO, and neither has Abbas. So there you have it: The PLO's two largest factions--one of them headed by PLO/P.A. head Abbas himself--continue to engage in terrorism. Meaning that the PLO is still a terrorist organization. And terrorist organizations should not be welcome in Washington, D.C.